Are you looking for the perfect mid-week getaway (you can still make it to work Thursday if you have to)? 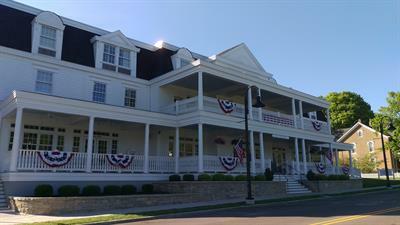 Mills Park Hotel in Yellow Springs is offering half off the Wednesday night room when you dine at Ellie's Restaurant. Ellie's is also offering half off select bottles of wine on Wednesdays. When you purchase 2 regular priced dinner entree's at Ellie's on Wednesday night (minimum $50.00 without gratuity), we will reduce your room rate by half for the night. This is a great time to experience Mills Park Hotel at an exceptional rate while dining at our southern-inspired restaurant, Ellie's. Phone us directly and mention this special for details and to reserve your Wednesday night getaway, only available in February.